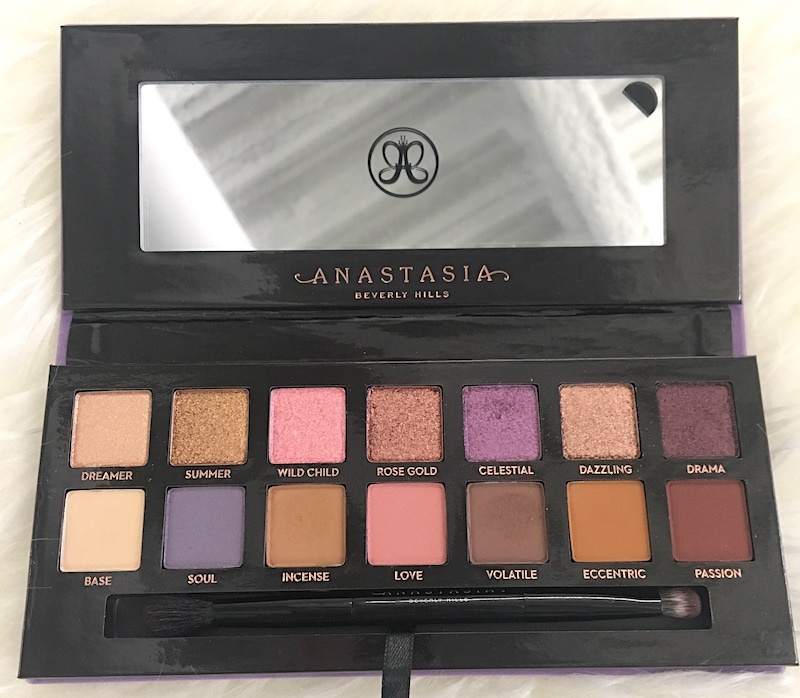 I have a confession: I’ve never tried an Anastasia Beverly Hills eyeshadow palette. I know, blasphemous. That doesn’t mean I don’t know about the brand’s cult-favorite Modern Renaissance palette, the controversial Subculture product, and now, the buzzed-about Norvina palette. 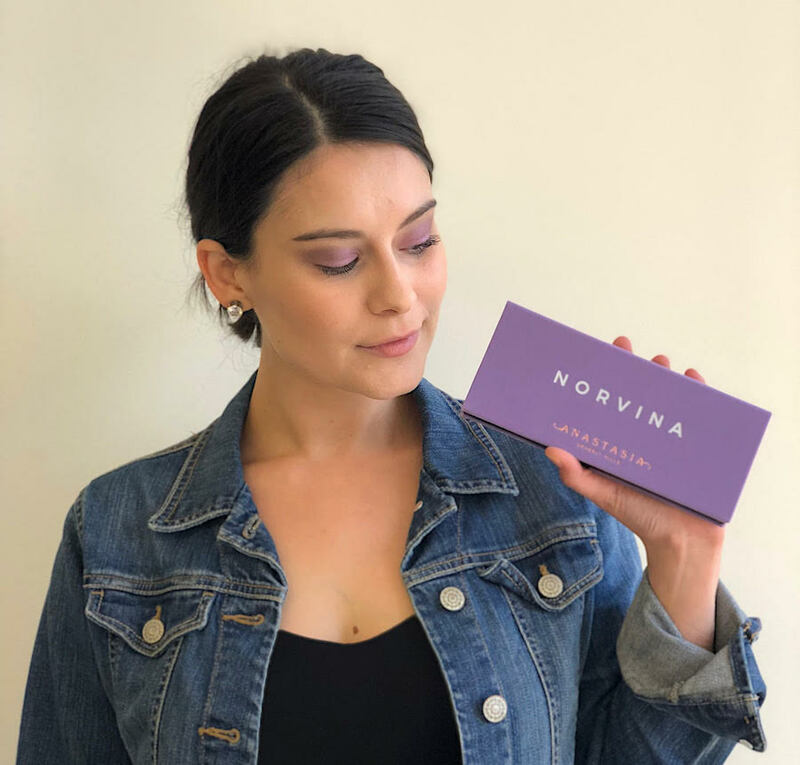 Named after Anastasia’s daughter, Claudia Soare, who goes by the name Norvina on social media, this product features seven shimmers and seven matte shades. I was most excited to try this palette because I don’t have any shadows like this in my current collection. The closest one I own to it is probably Huda Beauty’s Desert Dusk. 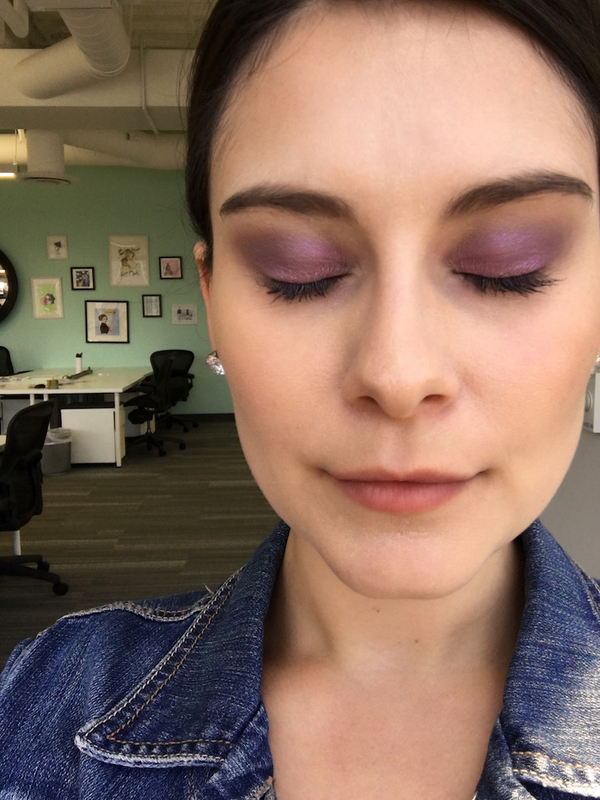 While I usually stick to neutral shadows for everyday wear, I was eager to get out of my comfort zone and play with the sultry purple shades. To see if this eyeshadow palette is really worth the hype, read my honest review. The product retails for $42 on the brand’s site. Most of the matte shadows have a lot of kickback. I noticed that Base and Incense had a lot of kickback. I wouldn’t say this is as bad as the ABH Subculture palette, but compared to my other eye palettes, this kickback was bad. There was a lot of fallout under my eyes, too. I highly recommend doing your eye makeup as the first step (unlike me). The purple eye look I came up with in the morning. For this look, I used the shades Base, Incense, Volatile, Soul, and Celestial. Soul and Volatile didn’t have as much kickback as Base or Incense. However, I noticed that Volatile was hard to blend and applied patchily. Soul also didn’t show up as pigmented. It looks vibrant in the package, but it’s actually super subtle. I also want to note that I used an eyeshadow primer for my left eye — the Urban Decay Primer Potion. For my right eye, I dabbed a bit of the ColourPop No Filter Concealer and set it with the Laura Mercier powder. This is what I normally do when I apply eye makeup. I’m not going to lie, though — my left side looked bomb. The shade Celestial really popped. The shadow looked great in the late afternoon/early evening. While my makeup was already caking (the L.A. heat is rude! ), my eyeshadow still looked fresh. I noticed Celestial started fading a bit in the center, but, to be fair, I was wearing the shadow for six hours. 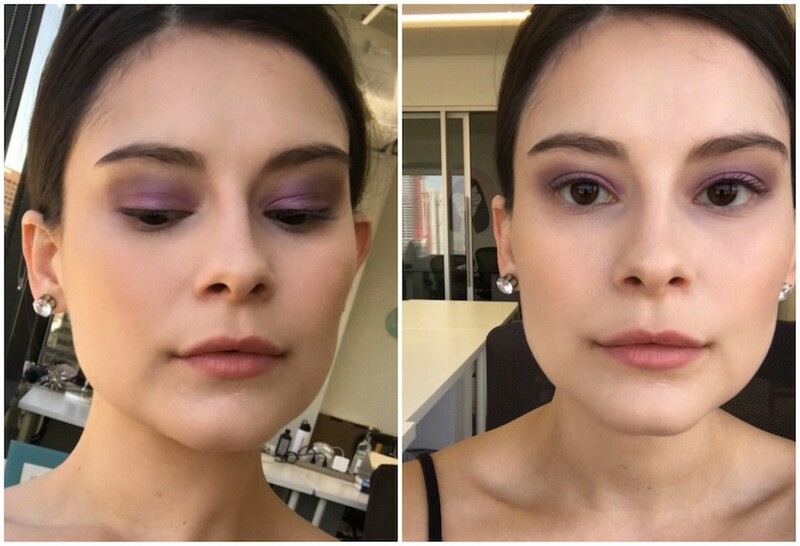 Even though a few shadows applied patchily and weren’t as vibrant as I would have liked them to be, I think the Norvina palette is good. 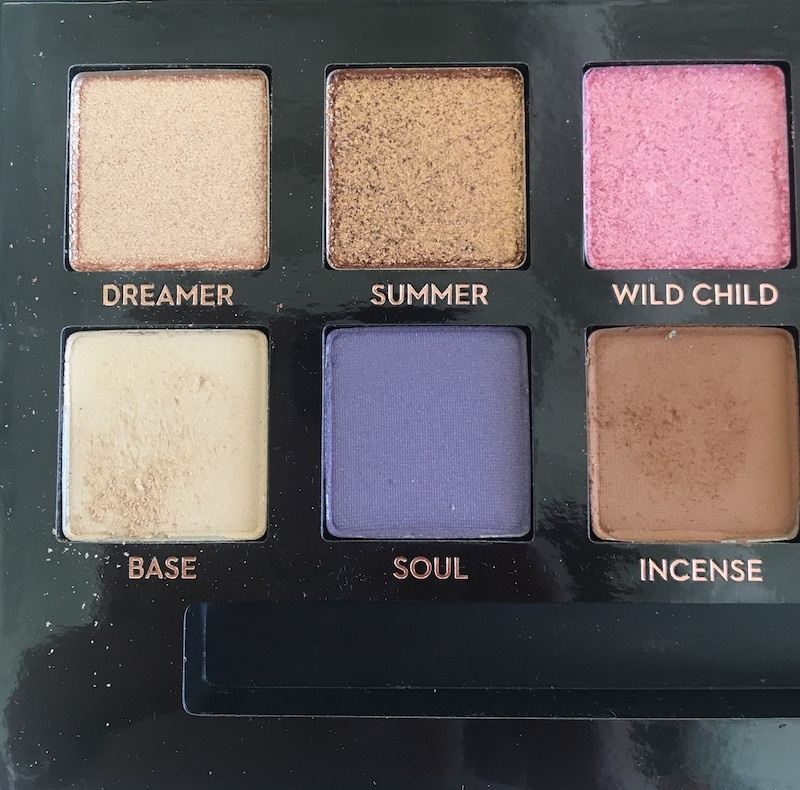 Is it up to par with my beloved palettes? Not exactly, but it will still be part of my rotation. For one, the colors are unlike anything I own. I know I’ll use the shimmer shadows the most, which is why I love that they’re pigmented, gorgeous, and comfortable to wear. Some shimmer shades have pigments that flake off and irritate my eye, but I didn’t have that experience with these. Another thing I loved about this product is that the shadows lasted throughout the day, especially when I used an eye primer. To be honest, I played with the palette the day before I recorded everything for this review, and the shadows completely disappeared by the time I got home. Adding the eye primer helped the shadows last longer. The primer also worked a lot better than my normal method of dabbing concealer and setting it with powder.